Never before has the world been so interconnected. Understanding that everything we accomplish is done through connections, networking becomes the key to success in your business, career and relationships. Many of us aren't comfortable breaking the ice or meeting new people, but it's a learned skill and not all that difficult. A Networking Book will get you there with ease and confidence. 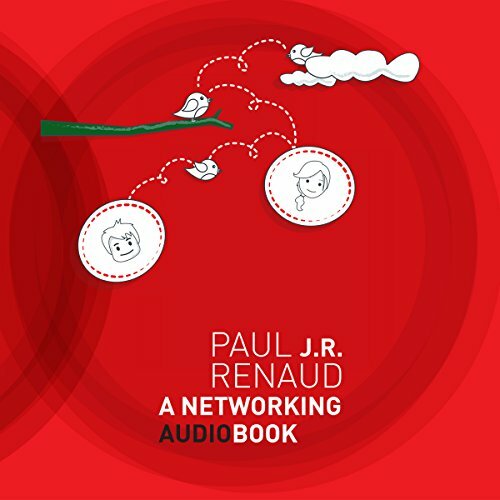 Paul J.R. Renaud, author of A Networking Book, is a marketing expert and executive coach, an experienced international executive, lecturer, and facilitator. He offers a comprehensive look at what it takes to become an effective networker, regardless of your comfort level. Paul will give you terrific advice, tips, and methods to quickly bring you to the top of your game. Novice or expert, he'll show you how to effectively reach more clients, colleagues, customers, partners, and friends, with techniques he's proven over the world to increase his own network and build a career. Discover the fundamentals of networking as you become confident and welcome rather than fear that next event and your opportunity to meet people. Apply what Paul teaches to dramatically increase your skills, while having fun in the process. I met the author (this is the way I got this book) and he is as charming in person as he is his book. Clearly a good networker. What I enjoyed most about the book is the story-based approach inspired from his personal experience or from the experience of people in his network. Couldn't find a better way to convey a message about networking than sharing stories from your network. Far from pure theory, the author comes with practical experience from the business world on pretty much every content except Australia and Antarctica. I especially liked how this experience is put in context, as networking in South America may vary substantially than networking in Africa or Eastern Europe. Last but not least, the book is short and to the point and the Audible edition is narrated by the author himself in a charming French Canadian accented English.